Editor’s note: This is the second half of a two-part article on a retirement income planning process for the mid-market. The first half can be accessed here. Steps 1, 2, and 3 make up the data collection phase of creating a retirement income plan. By now any income gaps will be apparent. Below are eight options middle-income clients will need to seriously consider to fill essential and discretionary gaps and extend the number of years their money might last. Most clients need help prioritizing their options, and a combination approach is most likely necessary. The main idea behind this step is to facilitate your discussion with the client about what’s on the table and what’s off the table before you more thoroughly evaluate retirement income solutions. This will help you create a plan they will be comfortable with, address potential objections in advance, and help you save time when evaluating potential retirement income solutions. Create additional lifetime income when essential expenses are not fully covered by lifetime income sources. Spend less in retirement – inherent in the process of retiring is the process of reconsidering many spending habits. Work full-time – staying engaged is one of the best ways to stay healthy. Work part-time to postpone or minimize distributions from retirement assets. Postpone Social Security and/or pensions – this requires an evaluation of their expected longevity, and if married, that of their spouse. 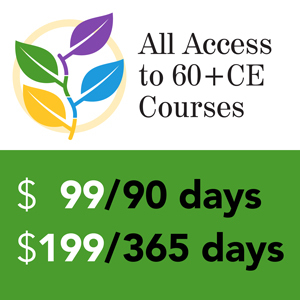 Increase savings – it’s never too late to save! The last dollar in before they retire can be the first dollar out when they’re 85. Use home equity – the largest asset of middle income Americans is their home equity; retirement savings are second. There are many ways to construct an income portfolio to meet a retiree’s specific needs. Going into each of these in detail is beyond the scope of this article. We will focus here on one option: combining a SWP and annuitization as most tactical approaches incorporate this concept one way or another. Most planners today use a SWP-only plan from a managed account to generate retirement income for wealthier clients. However, this approach places the entire assumption of income and asset value risk on the client, and for the mid-market client who has a real risk of running out of money before they run out of breath, exclusive use of a SWP may not be the best option. A more effective solution to consider for clients who have the potential of running out of money is to fill a discretionary income gap (Gap B from Figure 2) with a 4-5% SWP from managed assets for the flexibility and control needed to meet discretionary spending needs and potentially protect the retiree’s income from inflation. Studies have shown that a 4%-5% initial withdrawal adjusted for inflation may be sustainable over a 30 to 40 year retirement, depending upon the allocation to equities. The essential income gap (Gap A) can be filled by annuitizing a portion of the managed assets to protect against longevity risk. The client will also earn more income per dollar invested due to the risk pooling and mortality credits paid on annuitized assets. Assume you have a 70 year-old male client with a $100,000 managed account portfolio. In Figure 3 below, the two bars to the left show the client receiving an annual withdrawal of 4.5% on a $100,000 portfolio, annually adjusted for inflation, with a first year distribution of $4,500. By the 20th year of retirement, the inflation-adjusted withdrawal could increase to over $9,400 per year. For demonstration purposes only (we recognize it is highly unlikely an entire portfolio should ever be annuitized), the middle bars assume that the client’s $100,000 portfolio was placed into a lifetime fixed annuity instead of using a pure SWP. 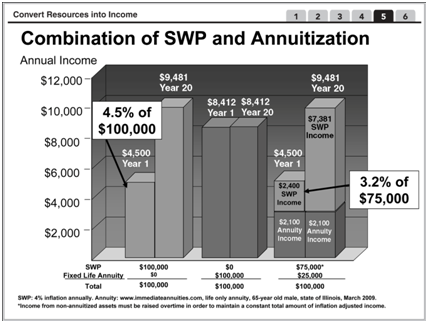 Notice that the first year benefit of investing in a fixed immediate annuity income of $8,040viii, which is almost 87% higher than the $4,500 first-year income under the SWP plan. However, by year 20 the situation has reversed, and the annuity-only portfolio has $1,069 less per year to spend, or 11% less than the SWP-only retiree. This comparison reinforces the primary pros and cons of both options. Although the SWP provides less income starting out, there is greater withdrawal flexibility and income may increase with inflation. On the other hand, there is no guarantee that the income will last a lifetime with a SWP. The annuity provides the security of lifetime income and creates greater income starting out but with greater cost, less flexibility and potential for less income to heirs in the case of pure annuitization. The third set of bars to the far right assume a retiree decides to annuitize 25% ($25,000) of their $100,000 portfolio to help fill their essential needs gap and withdraw the 4.5% SWP adjusted for inflation over 20 years from the remaining 75% of the assets ($75,000). In the first year of retirement, the annuity generates $2,100, which means the managed asset portfolio needs to only generate a SWP for $2,400 to achieve the same $4,500 total income as the SWP only plan, or about a 3.2% withdrawal rate. Thus, annuitizing a portion of the assets to meet essential income or other needs leads to a lower withdrawal rate from the managed assets, increasing the duration of the overall portfolio. In addition, if a client lives long enough, an annuity component can actually preserve the value of an estate over time rather than reduce it, because the remaining managed assets benefit from a lower systematic withdrawal rate. If you and the client are comfortable with the 4.5% initial rate, another option is to increase the income from the SWP from $2,400 to $3,375 (4.5% of $75,000). Added to the annuity income of $2,100, the total first year income will be $5,475 instead of $4,500. With the same level of withdrawal risk to the managed portfolio, the first year income has increased by more than 20%. As a rule, retirement income plans should be reviewed at least annually. It is particularly important to observe variances between assumed and actual expenses and investment experience in the first five to ten years of retirement, as it will be easier to make adjustments at that time rather than in the last five or ten years of life. In addition, life expectancies change with the passing of time and changes in health status. The retiree’s circumstances may change, as well as his or her risk tolerance. Income sources (portfolio assets) will also need to be rebalanced, and new retirement products and income management approaches will no doubt be introduced. Making informed retirement income decisions for the middle-income market is more complex than most clients and advisors realize, and needs to go beyond managing assets and systematic withdrawal plans. An entire host of dynamic variables affects the retirement income outcome, including multiple risks (such as longevity, inflation, health care costs, and investment), choice of products (annuities, long-term care and healthcare insurance), and timing decisions (when to start Social Security, when to annuitize assets, and when to quit working). 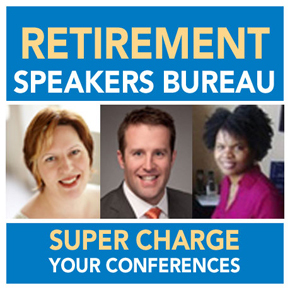 The need for qualified retirement professionals and the opportunity to make distinct difference in the quality of a retirees’ retirement has never been greater. A shorter version of this article was published as “Managing Retirement Income for the Mid-Market,” in the Journal of Financial Planning, September, 2010. Visit http://www.retirement-resource-center.com to view a sample client worksheet booklet that utilizes the process explained in this article. 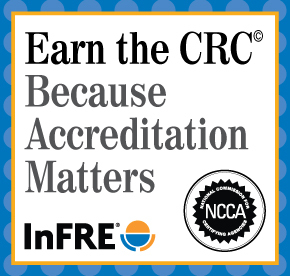 Betty Meredith, CFA®, CFP®, CRC® is the Director of Education and Research for International Foundation for Retirement Education (InFRE), and Managing Member of the Int’l Retirement Resource Center, LLC. ©2011, Betty Meredith. All rights reserved.